Artist/maker unknown, German. Made for Prince Nikolaus Christoph Radziwill, 1548 - 1616, or his cousin Prince Christoph Nikolaus Radziwill I, 1543 - 1603. 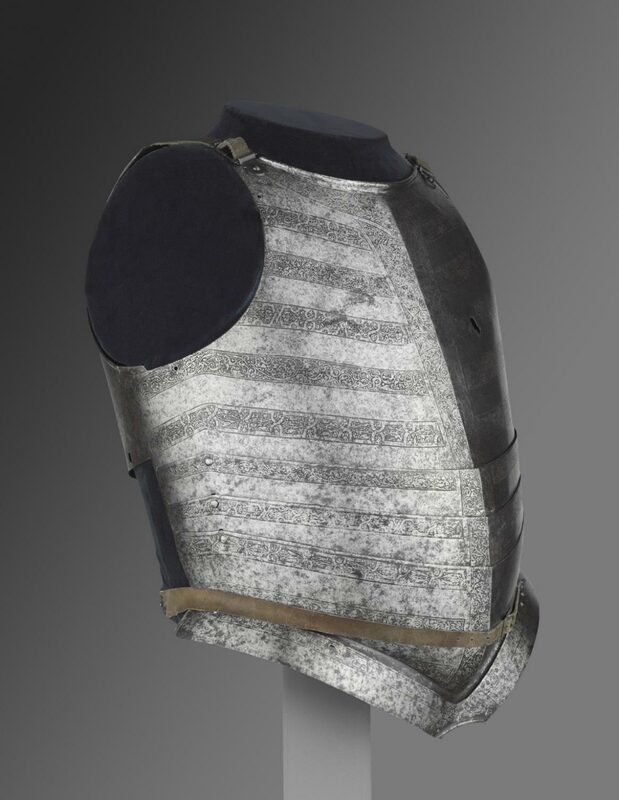 This cuirass was originally part of an armor tailored for a very large nobleman who belonged to the prominent Radziwill family of Lithuania and Poland. Until the beginning of the twentieth century, it remained in its original armory in a castle owned by a branch of the family in Lithuania. 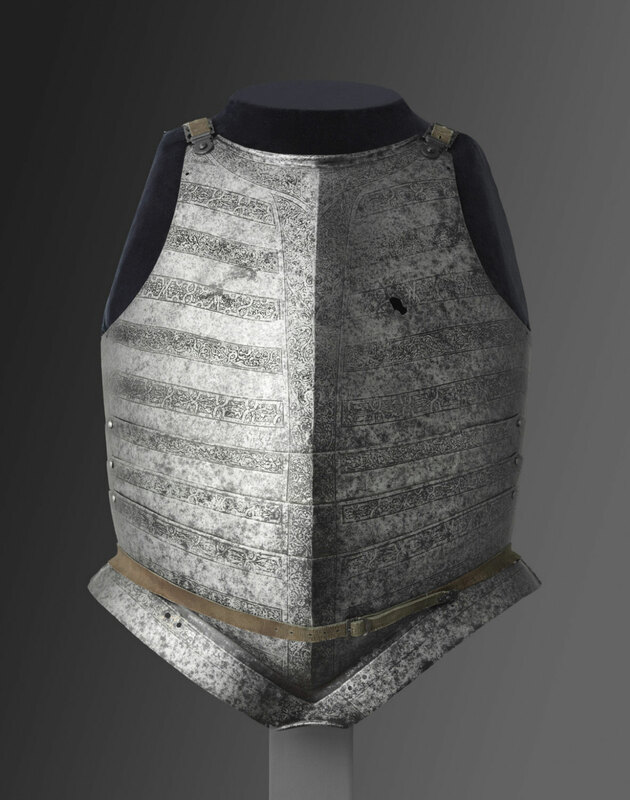 The hole visible in the breastplate is probably the result of rust from poor maintenance rather than combat-inflicted damage.